Cream 10650014 Bitten T-shirt. Soft, quality T-shirt with round neck. 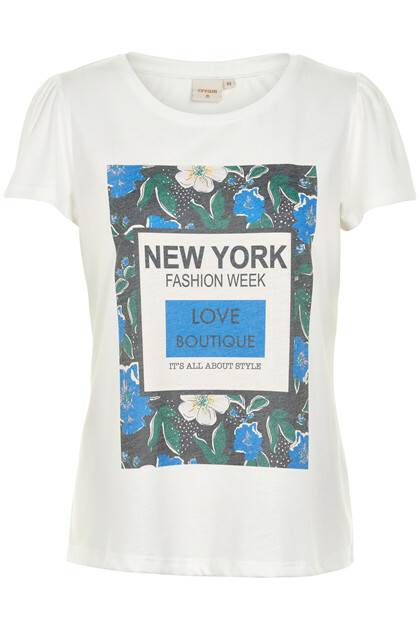 The T-shirt has the most gorgeous “New Yorker” print with flowers and green leaves. A gathered effect over the shoulders forms a small puff. Wear it with your favourite shorts and get out and enjoy the summer!